The Republic of Kiribati was formerly called the Gilbert Islands and their language was called Gilbertese. The islands were named after Captain Thomas Gilbert, who "discovered" the main island of the group in 1788. Kiribati is the local version of Gilbert. The original name of the islands was Tungaru. 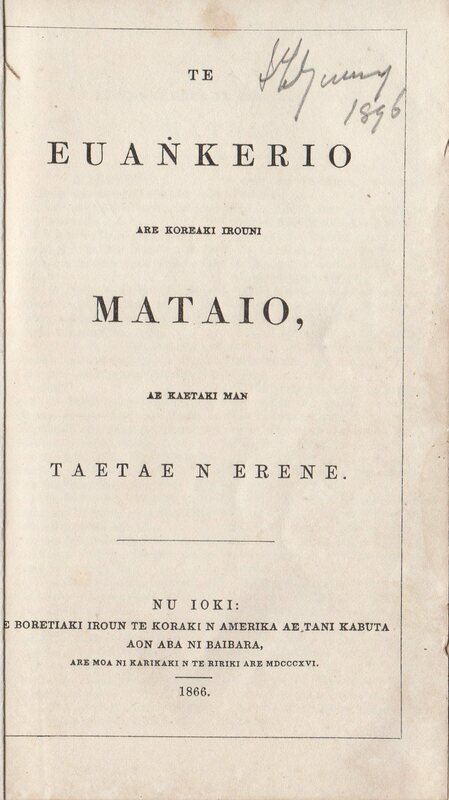 Title: Te Euaṅkerio are koreaki irouni Mataio, ae kaetaki man Taetae n Erene. Nu Ioki: E Boretiaki Iroun te Koraki n Amerika Ae Tani Kabuta Aon Aba Ni Baibara, Are Moa ni Karikari n te Biriki Abe MDCCCXVI. 1866. 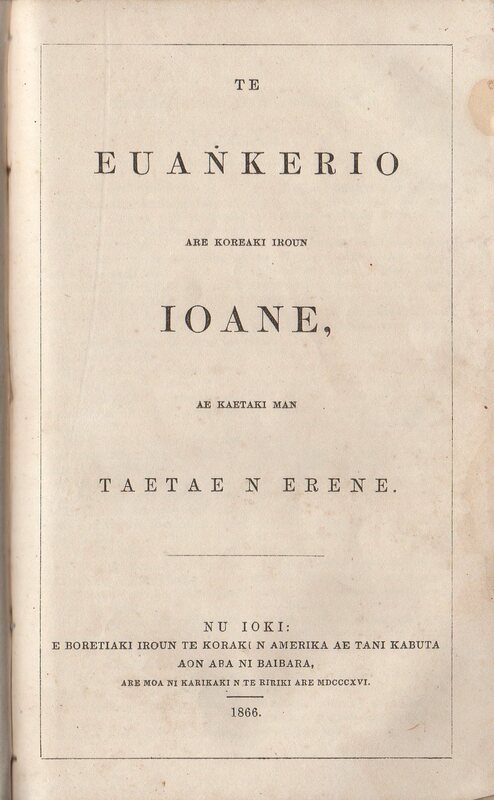 Title: Te Euaṅkerio are koreaki iroun Ioane, ae kaetaki man Taetae n Erene. 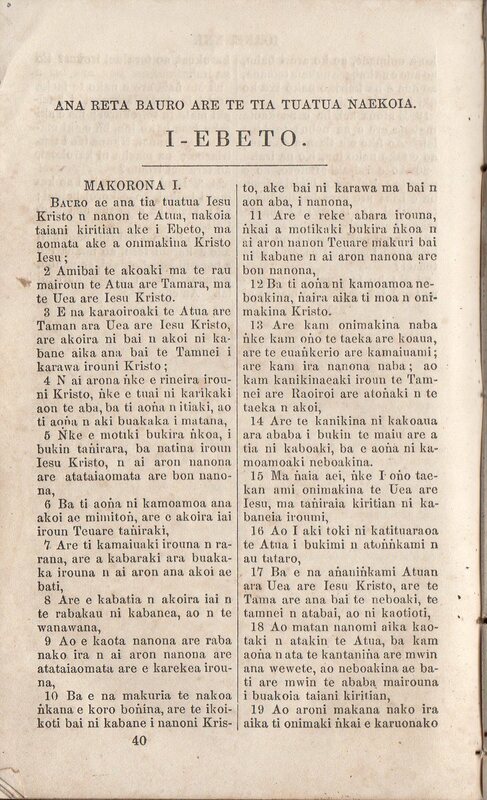 Nu Ioki: E Boretiaki Iroun te Koraki n Amerika Ae Tani Kabuta Aon Aba Ni Baibara, Are Moa ni Karikari n te Biriki Abe MDCCCXVI. 1866. Translated by Hiram Bingham, American Board of Commissioners for Foreign Missions. A revision by E. Bontemps, Roman Catholic. A revision prepared by George Eastman, Londom Missionary Society, assisted by Kaitara Metai. — From The Book of a Thousand Tongues entry 449.